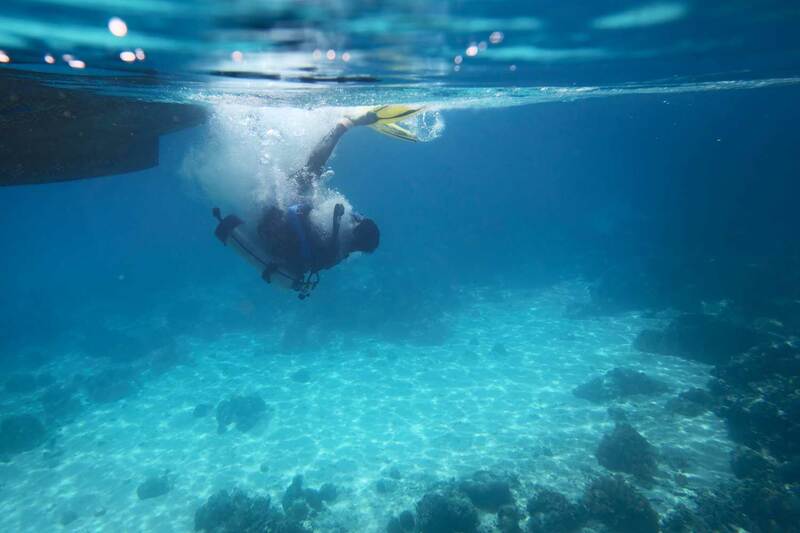 Divers who have epilepsy should consider all the factors of their condition before going underwater, as a seizure while diving can have serious implications for the diver. The terms “epilepsy” and “seizures” (or convulsions) are generally used interchangeably. Seizures are paroxysmal (unpredictable and uncontrollable) manifestations of the electrical properties of the cerebral cortex. To put it differently, it is the uncontrolled, involuntary electrical discharge of neuronal activity of a part or whole of the brain. To bring this into perspective, epilepsy is a medical condition with recurrent, unprovoked seizures. The classification and manifestations will depend on the area of the brain that is involved. WHAT MAY CONTRIBUTE TO EPILEPSY? One may find it quite surprising that seizures are a very common, non-specific manifestation of neurological injury and disease. As we understand it, the main function of the brain is to transmit electrical impulses. It is said in recent literature that one’s lifetime likelihood of experiencing at least one epileptic seizure is around 9% and that the likelihood to receive the diagnoses of epilepsy in one’s lifetime is about 3%. The prevalence of active epilepsy, though, is only about 0.8%. Epileptic seizures may have many causes, including a genetic predisposition, head trauma, a stroke, brain tumours and withdrawal from alcohol and/or drugs. It would appear that certain conditions may lower the threshold for epileptic seizures and in-water exposure certainly counts as the single most important one when we bring diving into the equation. Sensory deprivation, hyperventilation, nitrogen narcosis, acidosis (from carbon dioxide retention), anxiety and hypoxia (for whatever reason) may all contribute to lowering the threshold of convulsions under normal circumstances. These can all occur more easily at depth. Other factors include fatigue, psychological stress, substance abuse, flickering lights, illness and certain nutrient deficiencies. Combining even a single one of the aforementioned factors and in-water exposure puts an epileptic person at greater risk when diving; firstly, it increases the risk of having a seizure underwater and secondly, it increases the near-inevitability of a fatal outcome, i.e. drowning. Let’s take a closer look at the anatomy (structure) and physiology (functioning) of epilepsy. It can broadly be classified as focal seizures, where the electrical discharge of neurons (brain cells) involves only a specific part or area of the brain, or as generalised seizures, where the whole brain is involved. The structural area of the brain that is involved, in part or as a whole, is called the cerebral cortex and anatomically constitutes the surface area of the cerebrum (the “large” brain). The focal interictal epileptiform spike or sharp wave is the clinical neurophysiological hallmark of focal-onset seizures and the cellular neurophysiological correlate to this is called the paroxysmal depolarization shift (PDS). In short, this process involves depolarisation (a change of the resting potential or “current”) of the neurons through calcium-dependent potassium channels followed by a prominent after hyperpolarisation. If the number of discharging neurons are more than a several million, scalpelectrographic electrodes are able to record the electrical activity with an electroencephalogram (EEG). The mechanisms that may co-exist in different combinations to cause focal-onset seizures are decreased inhibition or increased excitation of the neurons. These will be summarised, because an in-depth discussion falls outside the scope of this article. Mechanisms leading to decreased inhibition of neurons are defective gamma-aminobutyric acid (GABA)-A and B (which is a neurotransmitter) inhibition, defective activation of GABA neurons and the defective intracellular buffering of calcium. Mechanisms leading to increased excitation of neurons are increased activation of N-methyl-D-aspartic acid (NMDA) receptors, increased synchrony between neurons due to ephaptic (passage of an electrical impulse from one neuron to the next) interactions and increased synchrony and/or activation due to recurrent excitatory collaterals. Focal-onset seizures may advance to generalised seizures. The influence of the diving environment on epilepsy has already been discussed. When considering these variables individually, each and every one already constitutes a contraindication to diving. One should appreciate the gravity of the situation when these are combined. WHAT CAN THE DIVER DO ABOUT EPILEPSY? While it is true that the risk cannot be quantified, most medical professionals will remain reluctant to declare recreational divers with undiagnosed seizures or the diagnoses of epilepsy fit to dive in view of the possibility of a fatal outcome should the risk occur. It is the opinion of this author that an individual with epilepsy should channel his/her adventurous energy into land-based activities that can offer just as much exhilaration and fulfilment. Seizures that were caused by vagus stimulation (fainting due to a nerve outflow pathway), positional hypotension (low blood pressure), low blood sugar, recreational drugs and fever convulsions before the age of five (without any subsequent seizures), may be the exceptions. The data available to us tell us the following: 30% of individuals suffering from epilepsy will have seizures or convulsions despite their medication, about 50% of children suffering from juvenile epilepsy will have no recurrence in adulthood with no increased risk when compared to the general population (some authorities maintain there is an increased risk of less than 1%), chances of experiencing another seizure decreases exponentially with time and reaches an almost normal risk after five years (which does not take the added stresses of diving into consideration), and 30% of children and 65% of adults will experience epileptic seizures or convulsions in the first two years that they discontinue their anti-epileptic medication. Some diving authorities now allow individuals with epilepsy to dive after five years with no seizures after discontinuing their medication. Other medical professionals are of the opinion that two years without seizures after discontinuing medication may be an acceptable risk for these individuals to dive, with the provisos of a depth restriction to 15 metres of seawater (MSW), clear warm water and no nitrox breathing mixtures. Although the incidence of sudden unexpected death in epilepsy (SUDEP) is low (about 2.3 times higher than in the general population), most of these deaths are due to impaired consciousness. A diver with epilepsy should ultimately decide. Should they wish to continue with diving after considering all the information provided, they should accept the increased risk, as should their dive buddies. 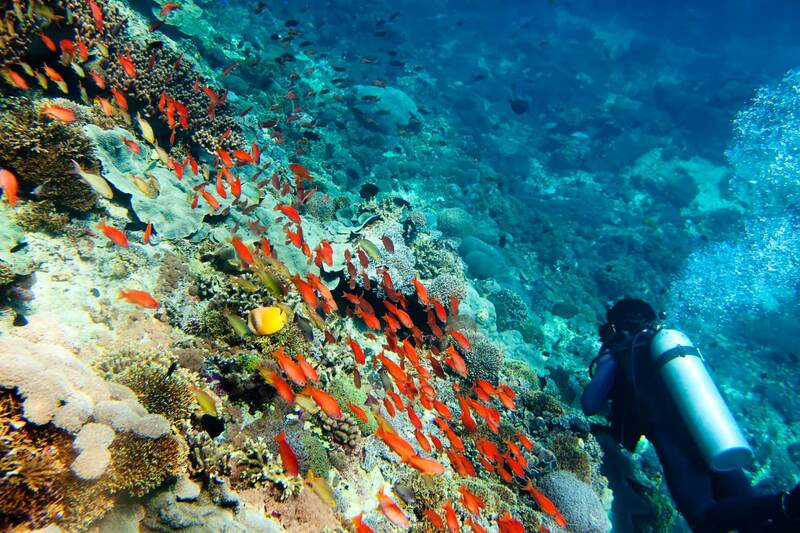 Safety when diving should always remain your first and foremost priority. This also applies when considering a condition like epilepsy and its medication. Remember, you are also responsible for the safety of the divers diving with you. The DAN Europe hotline is always available with specialised help. 6. Walker, R. Neurological disorders of diving. In: Edmonds, C., Lowry, C., Pennefather, J., & Walker, R. eds. Diving and subaquatic medicine. 4th edition. 2005. London: Hodder Arnold; p413. 7. Bove, A.A. Fitness to dive. In: Brubakk, A.O. & Neumann, T.S. eds. Physiology and medicine of diving. 5th edition. 2003. Philadelphia: Saunders Elsevier; p703. 8. Kayle, A. Diving implications of ear, nose, throat and sinus disease. In: Kayle, A. Safe diving: A medical handbook for scuba divers. 2nd edition. 2009. Cape Town: Struik Lifestyle; p74-6.